We are a group of agricultural producers, restaurateurs, tradesmen and traders of the district Aureolano. What unites us, in addition to the friendship and closeness, is the desire to enhance our historical, cultural and natural heritage; making not only know, but also relieve and taste. 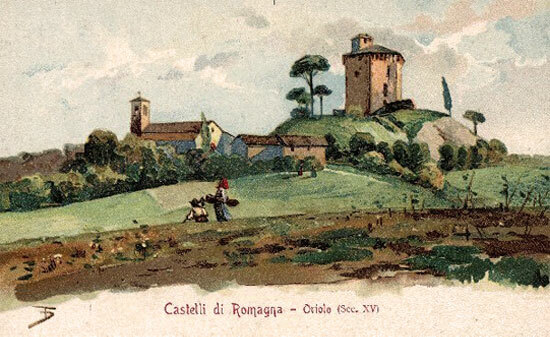 The idea of creating an association comes from the Tower that for centuries looks on our lands: the last that testify the existence of the lost castle and the medieval village. Also for her time has passed: survived to the sieges, it is even served as a refuge during the war, but lootings and carelessness have caused serious damage. Fortunately, recent renovations have restored the Tower to her original glory, but such a place can not be forgotten: now that is property of the municipality of Faenza, we do request to get the Tower in administration. Is the 1995, born the Association Tower of Oriolo. Even today, the Tower is our headquarter. Every year, right here and in the park below, we organize various manifestations: paisan parties and rural festivals, a time await events and held in high esteem especially for socializing, but now sadly disappeared. Guided tours, historical re-enactments, traditional festivals, music, fireworks, songs and dances. The Tower relive with events for every season. Then… there are our strong points: the typical products, traditional dishes and, as always at every feast, the wine! of Tower Write to us! Learn more about who we are and about our products.